“It's a Small World” is a water-based dark ride located in the Fantasyland area in Tokyo Disneyland. The ride features over 300 robotic dolls in traditional costumes from cultures around the world. Dressed in the traditional costumes of their countries, children of the world dance and sing, as we voyage from Europe, through Asia, Africa, Central America, and the islands of the South Pacific. Tokyo Disneyland was the first Disney park to be built outside the United States, and it opened in 1983. The park was constructed in the same style as Disneyland in California and Magic Kingdom in Florida. The park has seven themed areas: the World Bazaar; the four traditional Disney lands: Adventureland, Westernland, Fantasyland and Tomorrowland; and two mini-lands: Critter Country and Mickey's Toontown. Many of these areas mirror those in the original Disneyland as they are based on American Disney films and fantasies. Fantasyland includes Peter Pan's Flight, Snow White's Scary Adventures, Dumbo the Flying Elephant, based on Disney films and characters. Amsterdam, most people will have trouble labeling the city under a single category. It is a dilemma, a mystery that is not easy to explain, but at the same time it is charming and welcoming. It is the welcoming nature of the city that makes it one of the favourite destinations for any kind of traveller. Amsterdam has more than one hundred kilometers of canals. The three main canals, Herengracht, Prinsengracht and Keizersgracht, dug in the 17th century during the Dutch Golden Age, form concentric belts around the city, known as the Grachtengordel. The canal ring area were listed as UNESCO World Heritage Site in 2010, contributing to Amsterdam's fame as the "Venice of the North". Amsterdam is the capital of the Netherlands although it is not the seat of the government, which is The Hague. Amsterdam's name derives from Amstelredamme, indicating the city's origin around a dam in the river Amstel. The Dam Square lies in the historical center of Amsterdam, its notable buildings and frequent events make it one of the most well-known and important locations in the city and the country. Dam Square is Amsterdam’s beating heart. Nowadays Dam Square in contrast with the old days it is now a very peaceful square which is home to scores of pigeons and street performers. It is roughly rectangular in shape, stretching about 200 meters from west to east and about 100 meters from north to south. It links the streets Damrak and Rokin, which run along the original course of the Amstel River from Centraal Station to Muntplein (Mint Square) and the Munttoren (Mint Tower). The Dam also marks the endpoint of the other well-traveled streets Nieuwendijk, Kalverstraat and Damstraat. A short distance beyond the northeast corner lies the main red-light district: de Wallen. On the west end of the square is the neoclassical Royal Palace, which served as the city hall from 1655 until its conversion to a royal residence in 1808. Beside it are the 15th-century Gothic Nieuwe Kerk (New Church) and the Madame Tussaud's Wax Museum. Today the square is also a venue for mass events, fun fairs and pantomime artists. Join the locals and relax at the base of the National Monument while listening to street organs. Chase the pigeons and dodge the many cyclists when you cross the square to go shopping or explore some of the historical buildings. He stays in Hôtel du Poirier on the rue Ravignan on top one of Paris’s Montmatre hills. The site is one of the most picturesque in Paris, however his hotel room is dark and empty, it has only a table to write on. It is is easy to understand how in this dark room, “ one feels like a stranger, hearing the sounds of a city that has suddenly become strange. I am not from here—not from anywhere else either. And the world has become merely an unknown landscape where my heart can lean on nothing”, so he wrote on his notebook. That morning he looked relaxed and greeted me with a warm handshake. The television broadcasted loudly the celebration of France World Cup Team at the Champ Elysees. The crowd seemed to be excitedly drunk in paradise with France flag waving seen everywhere. It seemed that he had been watching the celebration on the television before I knocked on his door. “I spent many summer days at the popular beach Les Sablettes, in Algiers. I lived in destitution during my childhood but also in a kind of sensual delight, enjoying swimming, sunshine, sand and football. I am a Mediterranean man, with a healthy body worshipping beauty and the body like the ancient Greeks. I was placed midway between misery and the sun. Misery stopped me from believing that all is well under the sun. and in history; the sun taught me that history isn’t everything. My teenage exciting life were cut short when, at the age of 17, doctors diagnosed tuberculosis. Constantly short of breath, I was forced to abandon a promising football career, and would suffer relapses throughout my life. “On the day of his mother’s funeral procession in Marengo, the most intense feeling he has is the strong heat, the unbearable glare from the sky, which made him feel the blood veins pounding in his temples. His mother’s funeral itself does not have any meaning, he doesn’t weep, he doesn’t care to see the body of his mother in the casket for the last time. The return journey to Algiers after the funeral seems almost like a relief for him. Back in Algiers he decides to go to swimming and met Marie Cardona at the pool, then they swim together, in the evening they watch a Fernadel comedy movie and make love in bed later in the night. Yet the same blinding sun as on the day he buried his mother, which gave him pain especially in his forehead , and all of the veins pulsating together beneath the skin, the same brightness and heat of the sun like that caused him to shoot an Arab to death for no other apparent reason than the unnerving brightness and heat. It gives the impression that while Meursault while enjoying life under the Mediterranean sun, on the other hand the intense blinding sun caused him to fail to make him make sense of his mother’s funeral, and the same blinding sun gives him no other reason to shoot the Arab to death. “ I am here without being here: I was absent at the moment when I took up the most space. I have never been really sincere and enthusiastic except when I used to indulge in sports, and in the army, when I used to act in plays we put on for our own amusement. In both cases there was a rule of the game, which was not serious but which we enjoyed taking as if it were. Even now, the Sunday matches in an overflowing stadium, and the theatre, which I loved with the greatest passion, are the only places in the world where I feel innocent. But who would consider such an attitude legitimate in the face of love, death, and the wages of the poor? Yet what can be done about it? I could imagine the love of Isolde only in novels or on the stage. At times people on their deathbed seemed to me convinced of their roles. The lines spoken by my poor clients always struck me as fitting the same pattern. Whence, living among men without sharing their interests, I could not manage to believe in the commitments I made. I was courteous and indolent enough to live up to what was expected of me in my profession, my family, or my civic life, but each time with a sort of indifference that spoiled everything. 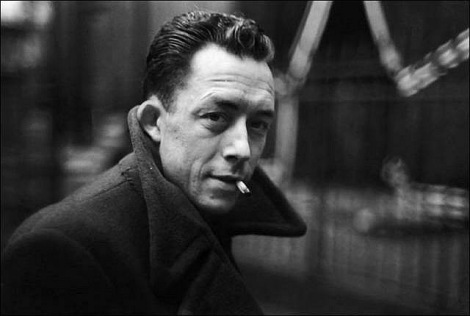 This is an imaginary interview in memory of Albert Camus. The Ding Jia He Park located in front of the government building of Huangdao is a reflection of Feng Shui principles that is the traditional Chinese art that determines the placement of objects to enhance the natural yin/yang balance. Feng Shui which literally means "wind" and "water" emphasizes general geographic orientation, such as the relationship to nearby mountains or bodies of water. The principle of Feng Shui relates to the flow of energies in nature. The ideal orientation of a building, is facing out to sea, lake or river with a mountain behind , which also gives the best view and a cooling breeze. Indeed the beautiful Ding Jia He park with the flowing river water and cooling breeze, gives the feeling of the flowing nature energies to the Government Building. The Ding Jia He Park design, expressing the Chinese art of landscape design, focuses on the careful blending of nature with man-made structures. The delicate balancing of four main elements of Feng Shui to create a harmonious environment where yin and yang energies compliment and contrast in beautiful results in a sensual and spiritual experience for the visitors. Water - Represents the Yin energy (cool, soft) that is the living pulse of the Garden. Stone - Balancing the Yin Energy of the water, rock formations represent mountains and Yang Energy (warm, hard). Plants - Symbols of human qualities such as endurance (pines), flexibility (bamboo) and purity (lotus) are incorporated into Chinese Garden Design through careful plant selections. Architecture - Arrangement of the buildings within the Chinese Garden is focused on creating spaces that enhance the garden design, plants and beautiful views. We can see the four main elements above in the Ding Jia He park and enjoy the beauty expecially in spring and summer. This park is one of the best park in Huangdao. Huangdao which means "yellow island" in Chinese is a district of Qingdao, Shandong province, in China.